Discover all that Grugliasco has to offer with Piccolo Hotel Allamano as a base. 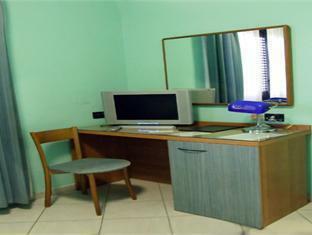 The Piccolo Hotel Allamano boasts a convenient location with modern amenities in every guestroom and superb service. Each guestroom is fully equipped with air conditioning, television, shower, separate shower and tub, mini bar. Guests can experience the high standards of comfort while staying at this luxury Grugliasco hotel with everything they need right on the site such as 24hr room service, shops, elevator, bar/pub, laundry service/dry cleaning, restaurant, business center, concierge. In addition, the hotel's guests can enjoy the leisure and sports facilities provided on the premises: golf course (on site), tennis courts. Modern comfort and convenience are seamlessly combined to ensure the guests' satisfaction. To book a room at the Piccolo Hotel Allamano, please select your dates of travel and complete fill out our secure online booking form.